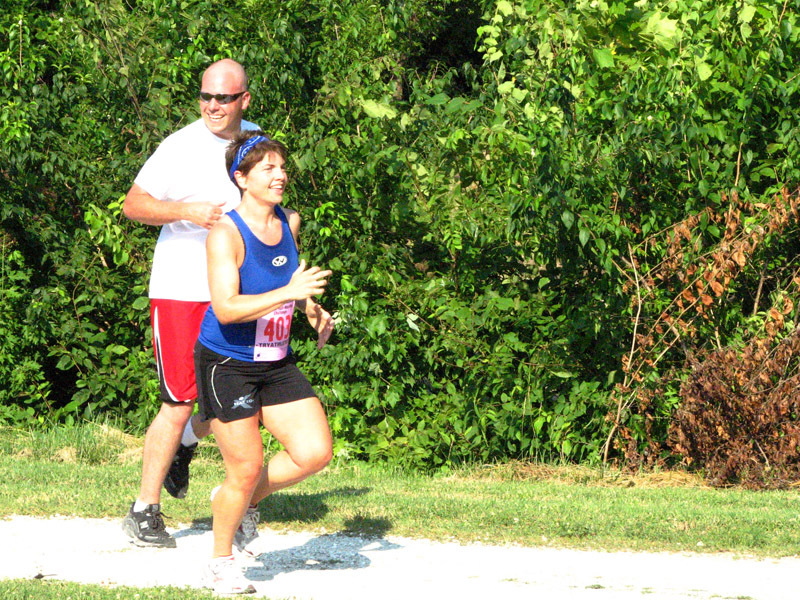 The Parley P. Pratt Memorial Freedom Run commemorates Pratt’s 1839 escape from the Boone County Jail, where he was being held because of his religious affiliation. Pratt was a Mormon who escaped the jail with fellow church leaders on July 4, 1839. The annual event is organized by the Church of Jesus Christ of Latter Day Saints. “More than anything else, this is a celebration of freedom,” master of ceremonies Sheldon Slade said during his welcoming speech. 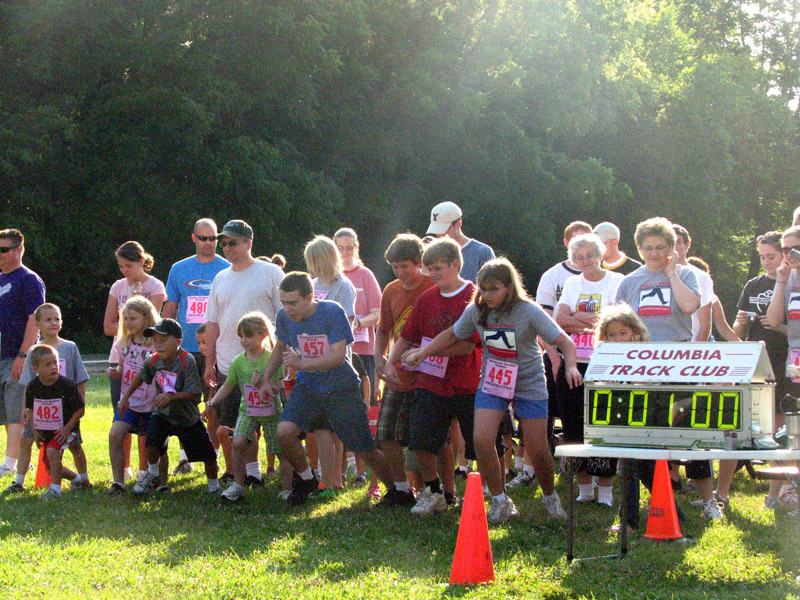 The mile runners waited for the 1-minute mark to begin their race, so the 4-mile runners could get a quick start. The mile race had 65 registered participants, and 125 people participated in the 4-mile run, from age 3 (in a stroller) to 76 years old. The crowd gathered for the Pledge of Allegiance, singing of “My Country Tis of Thee” and prayer before the race. Organizer Newell Kitchen then told the story of Pratt’s escape, and volunteers from the church sang a song penned by Pratt and sung on the night of his escape. “We’re like the tortoises in this race,” Dan Martin joked as he crossed the finish line with his wife, Liesel, and his daughters, Ariana (2 months) and Laneia (2 years, in the stroller). They participated in the 1-mile run/walk. 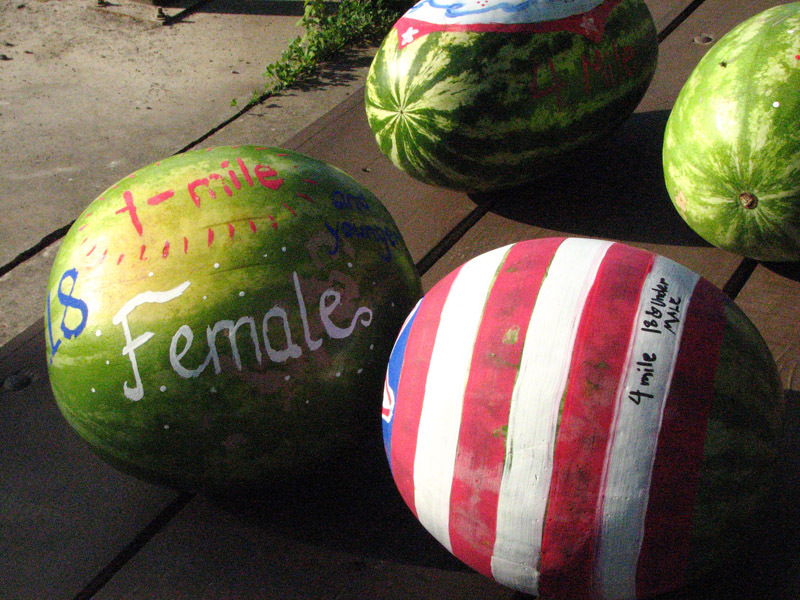 A youth group at the Church of Jesus Christ of Latter Day Saints painted the traditional prizes for each age bracket – watermelons. Ryan Lacey and Cori Day run the last hundred feet of the 4-mile race. Neither are members of the Church of Jesus Christ of Latter Day Saints, but heard about the event from friends. Lacey’s boss is a member of the Columbia Track Club, and Day has a friend active in the church. 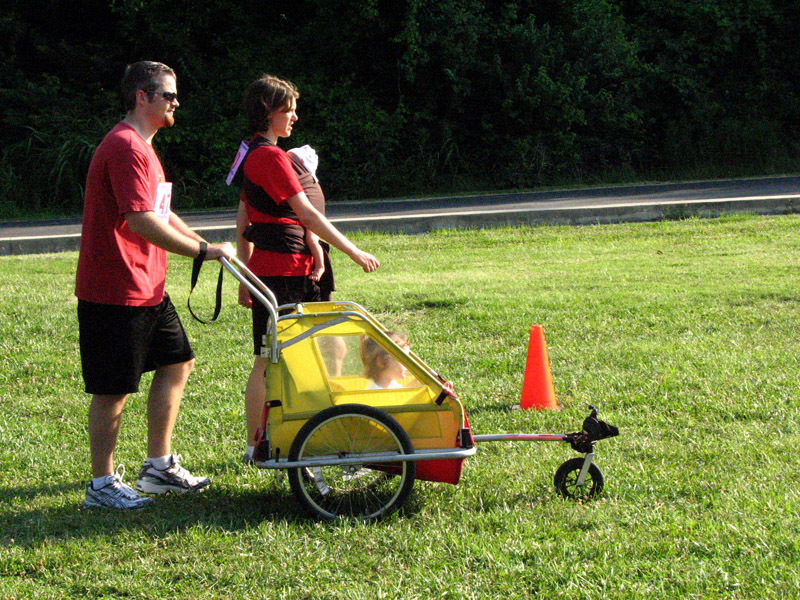 A new activity was available during the 1-mile race this year. 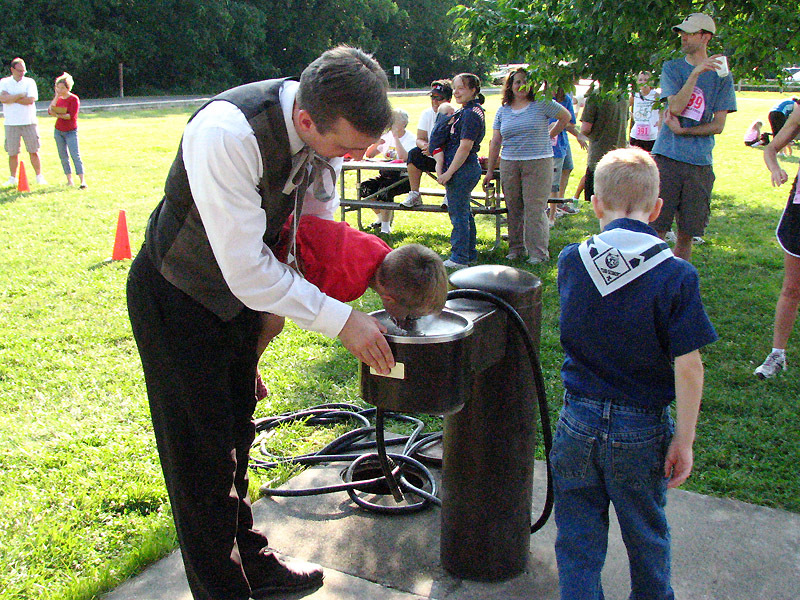 The first 40 runners under 12 years old to catch “Parley P. Pratt” (played by church member Jason Black) received a prize of candy after the race. 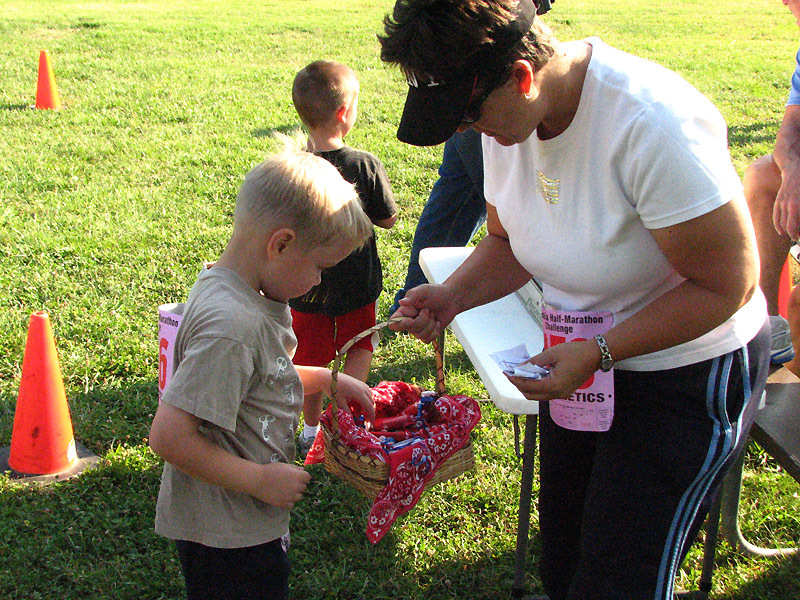 After catching Pratt, Josh Slade, 5, collects his treat from Mary Dirks.